The topic for Week 47 in Amy Coffin’s and Geneablogger’s 52 Weeks of Personal Genealogy and History series is: Fall. 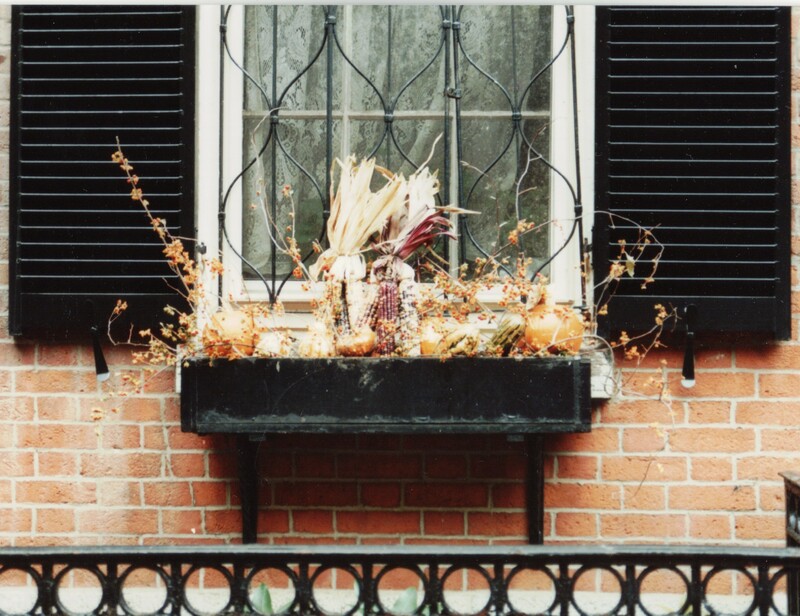 What was fall like where and when you grew up? Describe not only the climate, but how the season influenced your activities, food choices, etc. The leaves are turning gold and falling to the ground in the northern hemisphere, the weather is turning chilly and the nights drawing in. Meanwhile in a land Down Under, it can’t even be said to be Spring, as summer is hot on our heels with high temperatures and sunny skies interspersed with summer storms, lighting and thunder. Having lived all of my life in the tropics or sub-tropics, autumn is a largely a foreign concept to me. Sure, in the sub-tropics some trees do lose their leaves but rarely with the blaze of gold or red that’s seen in our southern states or the northern half of the world. What is more noticeable about autumn in the sub-tropics are the shortening days and the freshness to the air that signals winter is coming. I love the cooler weather of approaching winter in Brisbane (sub-tropical) or the approaching Dry in Darwin (tropical) as it makes me feel energised. Apart from that, autumn is a non-event. Because the seasonal change is so slight there’s relatively little impact on food and I guess the only difference when I was a child might have been that Mum’s pea and ham soup appeared on the menu more often. One year we decided to travel to New England (USA) in the Fall hoping to do a bit of leaf-peeping. The family had other views and illnesses meant we missed the full glory of the Fall colours by a couple of weeks, but we did really enjoy seeing the floral decorations with twigs and fruit, golden leaves massed on lawns, and the mirrored colours of the pumpkins set out for Halloween…all rather a novelty for us. 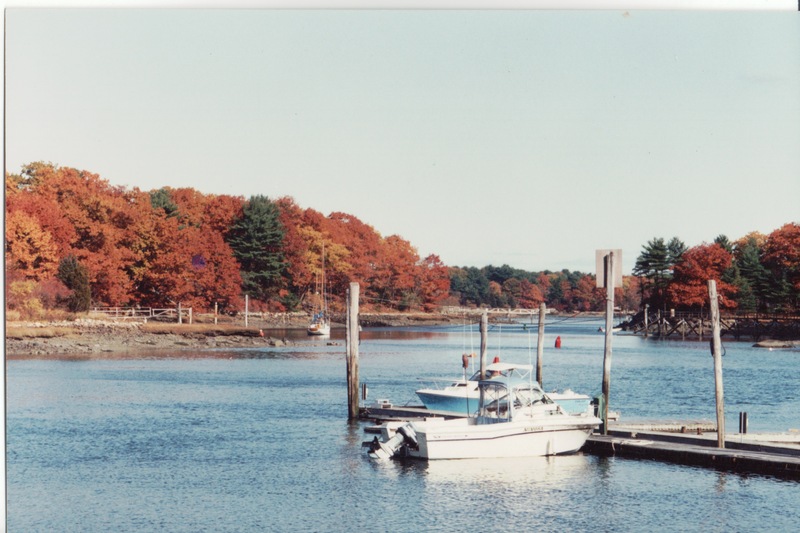 So since we don’t have any Australian autumn images I’ll include a couple from our 1992 trip to New England. To see a spectacular Australian autumn image by one of the country’s most talented landscape photographers click here. This entry was posted in 52 weeks of Personal Genealogy & History and tagged 52 weeks of personal genealogy and history by cassmob. Bookmark the permalink. When I was young we took a family trip to Bright in Victoria to see the autumn leaves. Whilst I have vague memories of the trees, the trip is most memorable because I bought a Snoopy notepad as a souvenir in a shop and within 2 hours had lost it. Oops. So I learnt more about looking after my possessions than about autumn leaves. But that’s ok, because I’m a botanist now! Isn’t it strange how life works out? You must have been sad to have lost that Snoopy notepad but a good learning experience. Thanks for your assistance with the Familysearch info – I had no idea that you could do that! Of course, I’m only guessing at the religion, but it might be worth it. The microfilm goes up to the year the people in question died, so theoretically I’d only need to go straight to the end of the film and search there. Sounds easy! Ha! You’re welcome Prue. I’ll email you directly. Living in an area that gets very cold in the winter, I always value every Fall day–while slightly dreading the forthcoming winter. Until I ready your post, I had never really thought about how Fall (and I suppose Spring) are less distinct in more moderate climates. I guess we take for granted what we live with day-to-day. Winter seems like fun to me but I don’t imagine it really is when there’s snow to be moved etc.